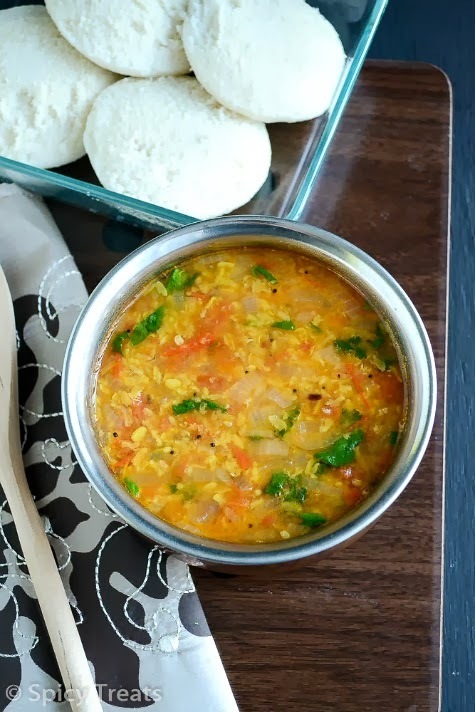 Gosthu is a very simple side dish for idly/dosa, Ven Pongal. My grandma used to make this tomato gosthu, brinjal gosthu, cabbage gosthu with or without moongdal. As love moongdal in my cooking i made it with Moongdal. She uses some spice powder for the gosthu but i totally forgot that, even my mom not able to recollect it so we use sambar powder. Even without sambar powder this moongdal tomato gosthu tastes yumm with idlis and dosa. 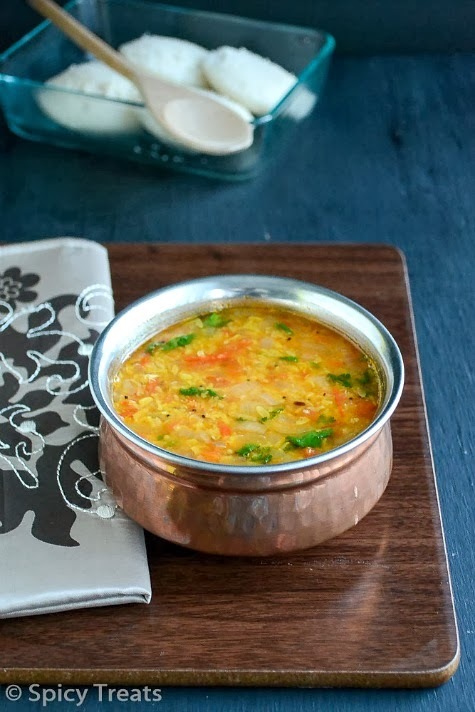 Pressure cook moongdal with a pinch of turmeric powder and enough water for 1-2 whistle ,mash it and keep aside. Heat oil/ghee in a wok/vessel,add all the tempering ingredients and fry well. Then add curry leaves,green chillies,onions and saute till onion get transparent. After that add chopped tomatoes and fry well till it get soft. 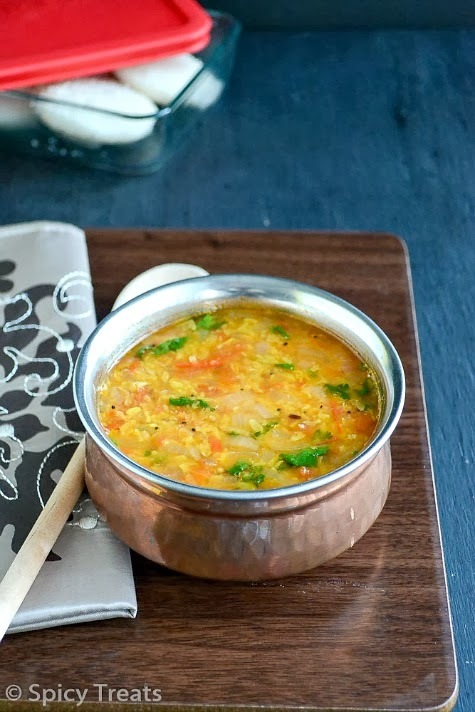 Now add sambar powder and mix well and add cooked&mashed moongdal. Allow to boil for sometime. Once it starts boiling add some chopped coriander leaves and simmer for another 2 minutes. Thats it the gosthu is ready to serve with hot idlies/dosa. 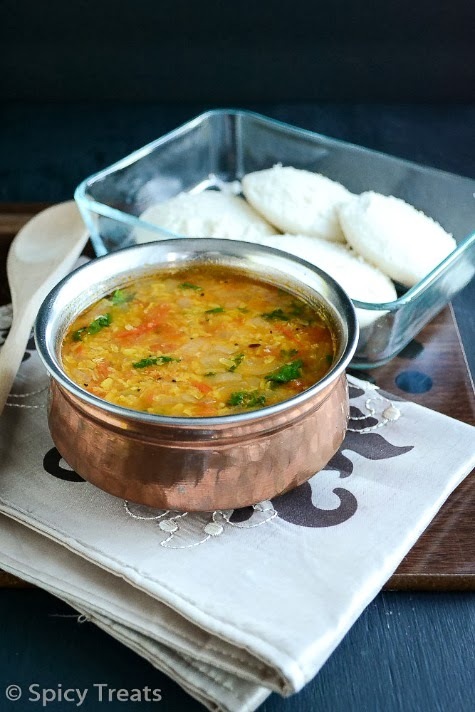 May be d name is different ..v call this as dal..
Love this, I do the same and I use only green chillies, no sambar powder..